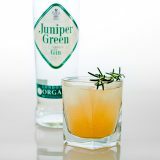 This refreshing original elevates whiling away a hot summer Sunday afternoon to a high art. 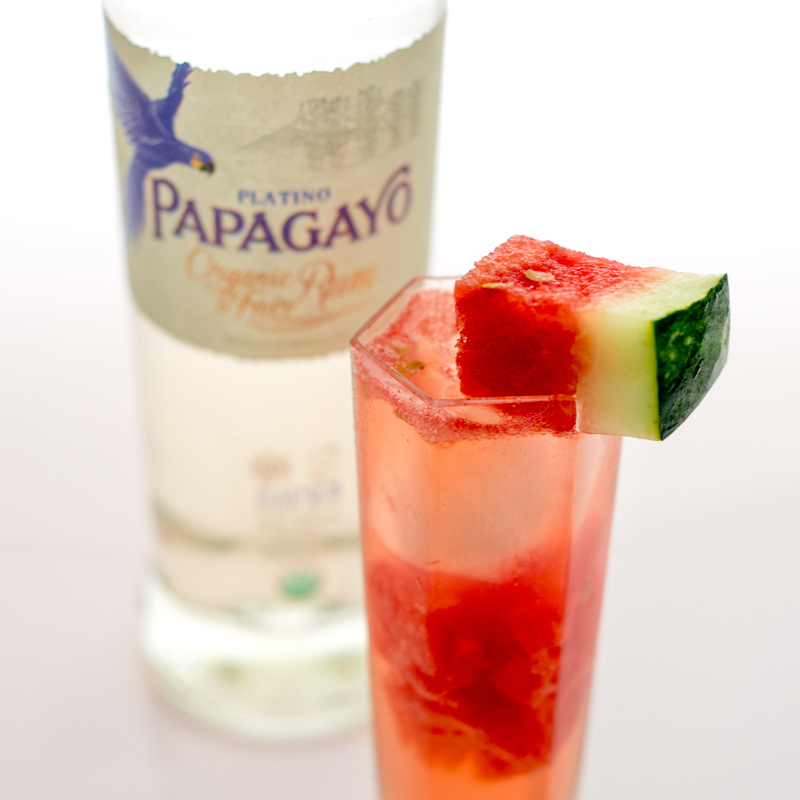 In a highball glass, muddle two chunks of fresh-sliced watermelon. 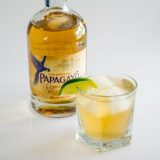 Add ice, 2 ounces of Papagayo Platinum Rum, and two dashes of Angostura bitters. 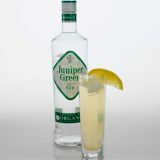 Top off the glass with soda. 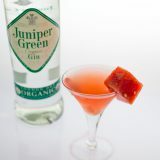 Stir and garnish with a small watermelon wedge.